I’ve just listened to a book about the creative process and managing creative people. 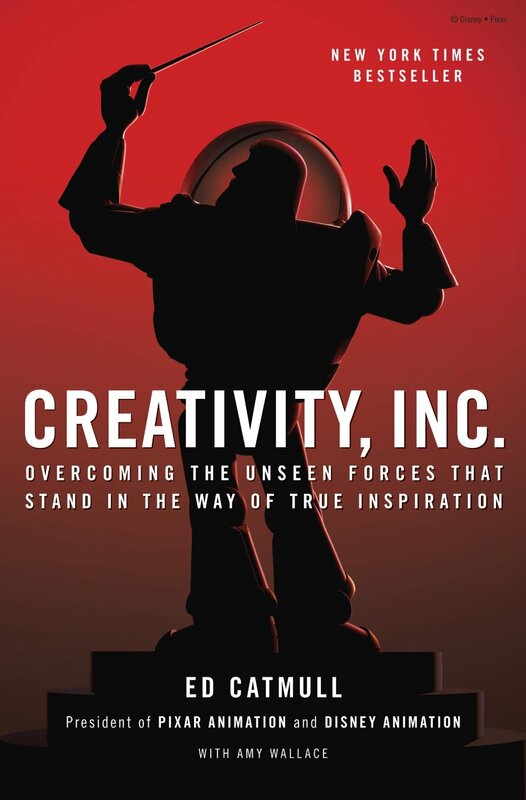 This book – Creativity, Inc. by Ed Catmull – traces Catmull’s career, the genesis of computer animation, and the growth of Pixar, both pre- and post-Disney. As a co-founder of Pixar Animation Studios and recipient of the Gordon E. Sawyer Award for lifetime achievement in the field of computer graphics, Catmull definitely has the experience to back up his theories on the role and sustenance of creativity in the work place. His use of actual events to illustrate his points made the book even more useful to me. 1. The switch from mainframes to PDAs has taken place in my professional lifetime. 2. I’ve always been curious about the development and introduction of computers in animation. 3. I often write about business and have an interest in Best Practices. 4. As a writer I find that I have a number of tricks that get me started and keep me going – but I could always use more. 5. I wanted to know if there was a replicable system or articulated set of assumptions and practices that led to the string of Pixar successes. I found material that covered all of the above, as well as a very loving remembrance of Steve Jobs that I did not expect. Section II, Protecting the New, especially resonated with me. It was a relief to learn that there are many iterations from the initial idea to the finished product, and that the finished product often has little resemblance to the initial idea. What it does have in common is faithfulness to the emotional core that has been at the heart of the idea all along. After reading this book, I don’t feel as pressured and agitated when my initial idea or draft needs to be significantly tweaked. I also feel less pressure to get it perfect from the start. This book has definitely made a difference in the way I approach my work. I recommend you take a look or a listen. Categories: Blog, MustReads, Productivity | Tags: computer animation, creativity, Ed Catmull, Inc, Pixar, Protecting the New | Permalink.